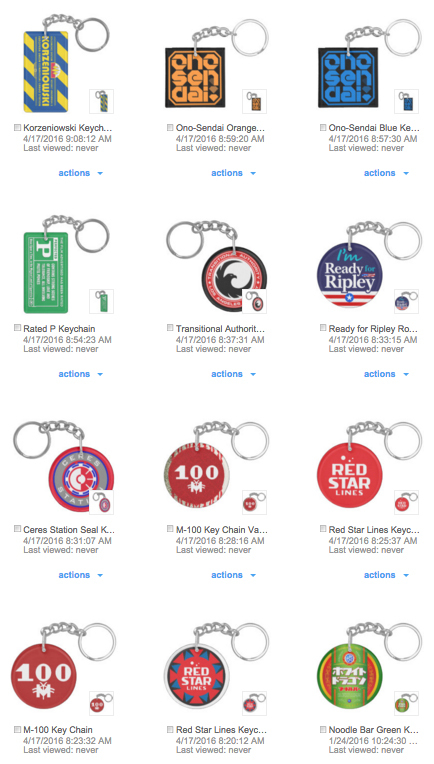 50% Off Buttons, Magnets & Keychains at Zazzle! 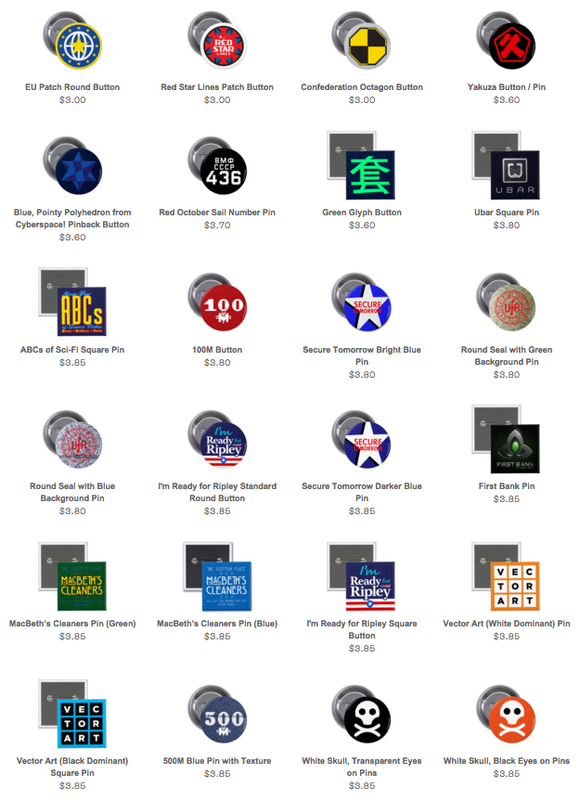 Use the secret code ZSUNSTEAL127 for 50% off Buttons, Magnets & Keychains. Author Staff WriterPosted on April 17, 2016 April 17, 2016 Categories Design, Physical ObjectTags Advertisement, Blade Runner, Ceres, Colony, Cyberpunk, Johnny Mnemonic, Keychain, Korzeniowski, Metropolis, Ono-Sendai, Parody, Pin, Red October, Ripley, Sale, The Expanse, The Manchurian Candidate (2004), White Dragon, ZazzleLeave a comment on 50% Off Buttons, Magnets & Keychains at Zazzle! Up to 59 as of today. I should do the Ceres Air-Water-Power logo. The most recent additions are the ‘name tags’ on Amos & Naomi’s jumpsuits. This Star Helix uniformed officer can be seen when Miller is thrown out of Star Helix HQ on Ceres. Besides a collapsible baton, a pair of handcuffs and a Star Helix pistol & holster, he is also carrying a FoxFury “Scout Tasker Fire” or “Scout Tasker Safety” flashlight. I think I’ve finally got a good replica of the ‘seal’ of Ceres Station. It has some asymmetrical idiosyncrasies that were difficult to nail down with the reference material available. Available in 3 versions at TeePublic. Star Helix shield logo with text on shirts & such. Note that I am printing the navy blue interior color in the logo, so if you get a navy blue shirt, the two blues may not match.